CareiThomas Please check out my book at t.co/bHaqeW1h4V. Creative music with words, with sounds, with lights; all in the now: Carei Thomas collaborated with AACM members in its early years and shares a solar system with the likes of Sun Ra, Ligeti, Messiaen, and Andrew Hill. If you’re not sure, don’t fret: just listen and your spirit will guide you. Midway between Klangfarbenmelodie and a recitative, this CD captures the audio portion of a multi-media work that matches the sounds of an improvising quartet with real-time, improvisatory computer graphics. Considering the almost-73 minutes of audio on its own doesn’t create a hardship. That’s because the extemporaneously created music, spiced with fragments of written material, is performed by some of the most accomplished players in the Minneapolis-St. Paul area. Drawing on electro-acoustic textures, the band members sweep through meandering and echoing lines that suggest modern classical composition at some point and the soundtrack-like potential of electro-acoustic interface elsewhere. Carefully integrated, sounds resulting from the quartet members’ varied background provide the human impulses that connect electronic textures. 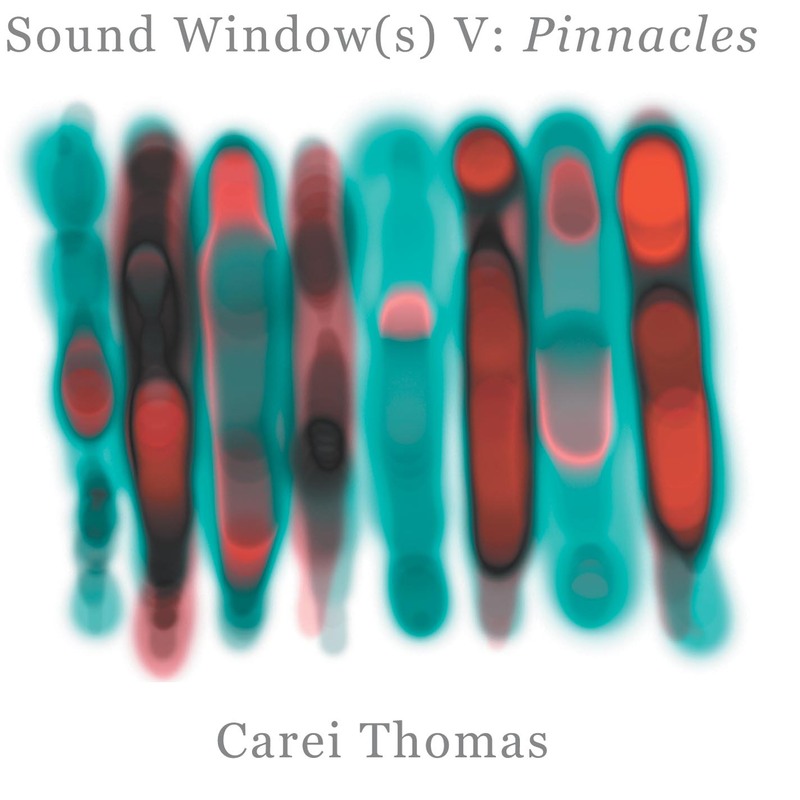 Sound Window (s)’ founder and pianist is Carei Thomas, who was associated with Chicago’s Association for the Advancement of Creative Musicians in its beginning. A long-time the Twin Cities resident, he released an earlier, more Free Jazz-oriented CD – MINING OUR BUSINESS (Roaratorio Roar 04) a few years ago. Fellow local AACMer, multi-instrumentalist Douglas Ewart, sometimes takes the reed chair in this band. He’s ably replaced on the CD by clarinetist and bass clarinetist Patrick O’Keefe, who uses his lower-pitched axe’s dark timbres to best advantage on “Window Five: Sisyphean Arousal”, which also serves as his showcase. Co-artistic director of the Zeitgeist contemporary music ensemble, he plays with Turkish and Brazilian band as well as with improvisers such as trombonist George Lewis. Violinist Gary Schulte and guest cellist Jacqueline Ferrier-Ultan add to the sonorous ethereality of the nine windows described here with doubled string harmonies, often reflecting the low frequency nocturnes Thomas favors. Schulte, who can replicate dexterous country and western fiddling, is also a veteran of A Prairie Home Companion, has plays Swing with a local Hot Club band and avant-rock with David Byrne. Ferrier-Ultan is a local performer who has worked with bassist Anthony Cox. Meanwhile Steve Goldstein provides aural coloring through his laptop and electronics. Videographer Steven Linsner is responsible for the unseen part of this performance. With a tablet, he develops real-time computer graphics that are projected overhead while the musicians improvise. A few of the images are reproduced in the CD booklet. Manipulated sound is used best on the introductory “Window One: Processional” and “Window Nine: Treasured Alliances”, the summary postlude to the piece. On the first, throbbing sine-wave pulsations underline Thomas’ recitation that also sounds as if it’s been split and manipulated through a vocoder. Extended with dissonant glissandi and portamento accents from fiddle and cello, the pianist infers the dislocation caused by drugs and his military experiences, as his speaking in tongues is underlined by hectoring slurs from O’Keefe. Following pulsating waveforms with a nocturne-like interlude for strings on the final track, Thomas alternates his low frequency chording with arrhythmic country-blues-style harmonica and concluding cries of pain. Earlier, the invention is interrupted with a variety of asides, including a point where signal manipulation replicates the sound of running water and another time when a mixture of striated fiddle lines and yodels from Schulte suggests a rural counterpoint to Thomas’ experiences. Strange and slightly spacey, Sound Window(s) V is wild and trippy...and completely unpredictable. A pleasant overload of imagination and creativity. Cool stuff.